Learn all about reverse mortgages and second mortgages. If you’re 62 and over and you own your home, you qualify to borrow some of the equity you own in your house. Choose between a reverse mortgage or a home equity loan/line of credit to get the funds you need. If you're 62 years old or above, I'm guessing you've probably paid off all or most of your home's mortgage. Congratulations! It must feel great to own your home outright. Or maybe you don't feel great at all. Perhaps you feel like you're just one medical bill away from using up all your retirement savings. Or even worse, such "retirement savings" never even materialized for you. If your credit card balances are bigger than your bank account and investment balances, your growing debt could get even worse as you get older. The average credit card debt for Americans 65–75 years old is over $6,000. If you are in this kind of scenario, you may begin to contemplate that your home could be the solution to your problems. If you own your home outright, you could just sell it to raise the funds you need. But you'd have to move into an unfamiliar residence, which can be a really stressful experience. I've committed my career to guiding people in making the right choices when it comes to getting the money they need to solve their problems or achieve their goals. For people who are feeling house-rich but cash-poor, I usually recommend either a home equity loan (otherwise known as a second mortgage) or a reverse mortgage. But a lot of people consider these as last-ditch options. 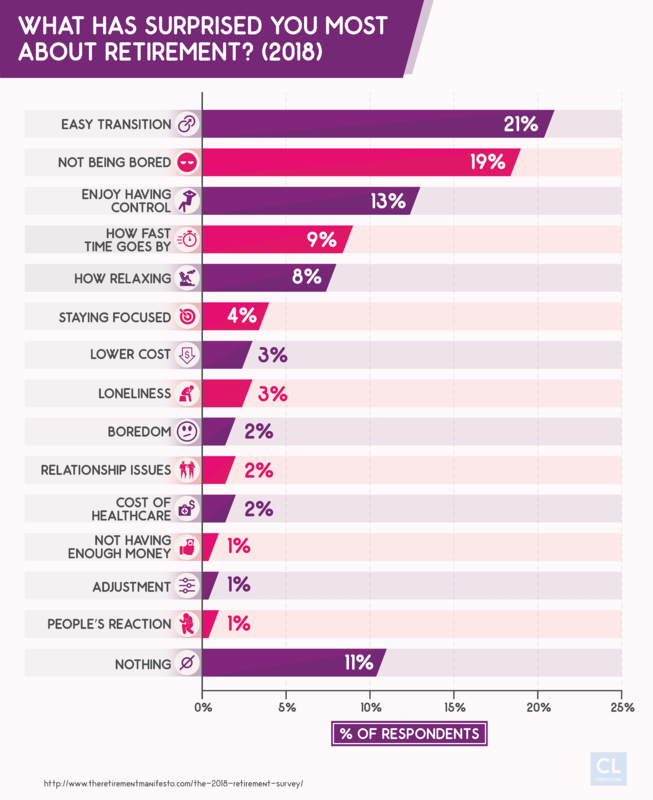 The reality is, they are both really effective tools for managing cash flow for retirement. One thing I can't stand is the thought of elderly individuals not knowing their financial options. It often leads to them getting scammed or making the wrong decisions. Second mortgages and reverse mortgages are tools older people should be aware of and understand. The importance of shopping around for the best loan or mortgage rate is also a skill I feel older people should develop and apply. 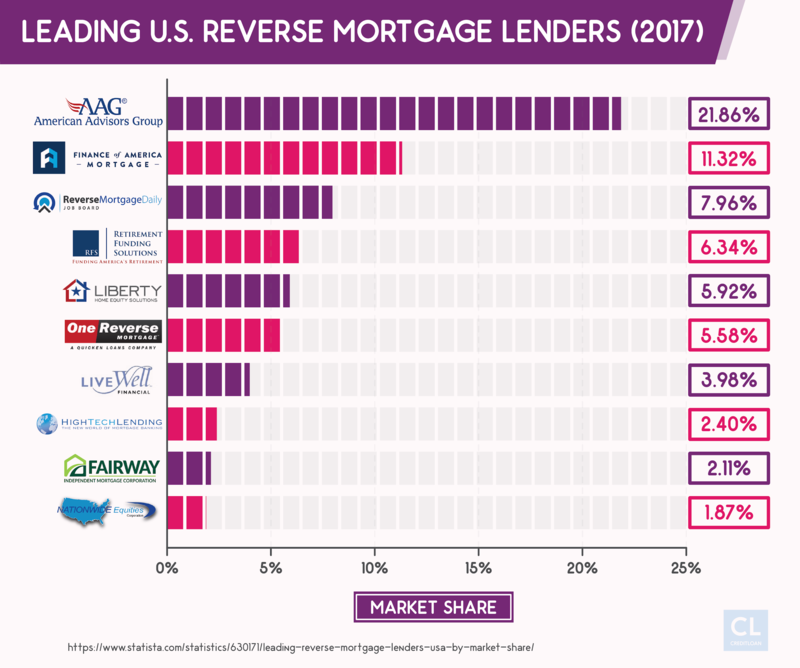 Our team has taken the time to research 397,921 second mortgages and reverse mortgages, and what we learned can be useful in helping people understand them better. Our findings confirm data indicating many adults, especially seniors, have untapped equity sitting in their home which they could be borrowing against to meet their retirement goals. The total amount of home equity owned in America is over $13 trillion. Of that $13 trillion, over $6 trillion is equity owned by seniors. Our research findings demonstrate how second mortgages and reverse mortgages work, their pros and cons, and the different scenarios each option works best for. After going through our findings below, you should have all the information you need to decide whether a second or reverse mortgage is a good fit for you. You'll have the most accurate information available to make an educated decision on using the value of your home to finance your retirement dreams. Reverse mortgages first appeared in 1988. Congress, under the Department of Housing and Urban Development (HUD), authorized the Home Equity Conversion Mortgage (HECM) program, ordering the Federal Housing Administration (FHA) to insure reverse mortgages. A little slow on the early uptake. HECMs started slowly, probably due to people not really understanding them. A lot of people viewed reverse mortgages as a last-ditch option only used to avoid bankruptcy in old age. 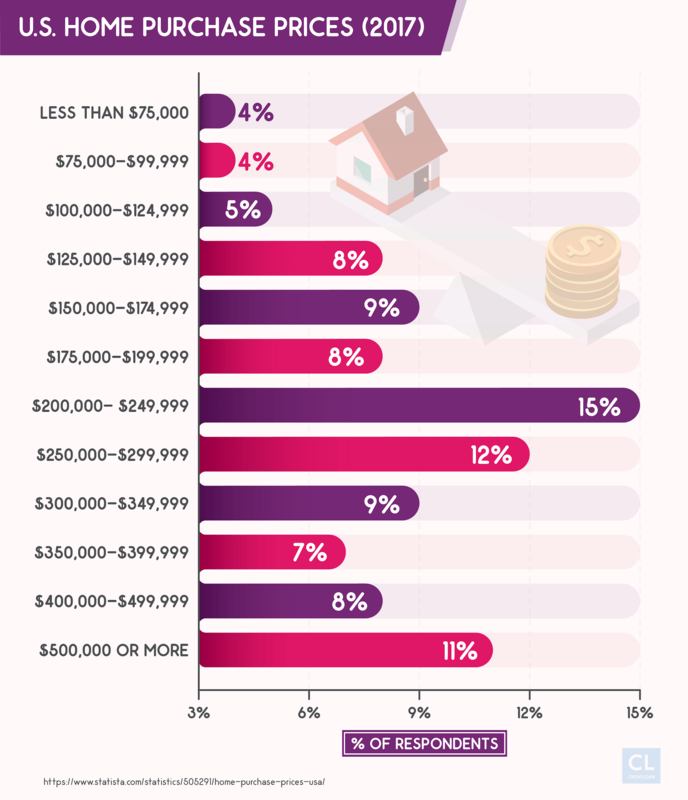 Our own market research confirmed the prevalence of this misconception, as many people with reverse mortgages commented they were at first hesitant based on this prevailing stigma. An increase of 30,473%. Only 157 HECM reverse mortgages were issued in 1990. Our data indicates there are currently over 48,000 reverse mortgages active today. In 2009, the volume of reverse mortgages hit a peak, with 114,000. The following year, the number dramatically dropped to 79,000. Reverse mortgages played a part in the subprime mortgage crisis. Reverse mortgages contributed to the bursting of the housing bubble and the economic crisis it caused. One problem was that there were private reverse mortgages available then that were not insured by the FHA and not subject to HECM rules. When house prices started dropping, the outstanding balances on those loans consequently exceeded the market value of the homes. Mortgagors started defaulting, contributing to the collapse of the entire mortgage industry and US economy. Fortunately, the rules have been changed. Today, all reverse mortgages need to participate in the HECM program. HECMs can only be provided through lenders approved by the FHA. All reverse mortgages are now insured by the FHA, and people are only allowed to reverse mortgage 80% of their home's value, up to a limit of $679,650. Current statistics suggest the reverse mortgage industry is stable. Our own market research yielded data indicating reverse mortgages are popular options for seniors. $9 billion in financing for reverse mortgages is currently insured by the FHA. The average principal limit (in other words, loan amount) reported by the FHA is $185,083. Average interest rates charged for these loans today is 4.22%, which is almost exactly what the average interest rate for a regular mortgage is. Yet, there are only 2–3% of eligible seniors who currently participate in the program. Our market research confirmed that when eligible seniors know and understand how reverse mortgages work, they become much more open to getting one. Regular mortgages are loans with fixed repayment. With a regular mortgage (also termed a "forward" mortgage), a person borrows money from a lender and pays back interest and principal through fixed monthly payments. As time goes by, the borrower increases their equity (ownership value) in their home, and the debt decreases. Reverse mortgages turn things around. In contrast with how a normal mortgage works, a reverse mortgage sees the lender giving payments to you, rather than the other way around. The payments are determined based on a percentage of the value of your home. Rather than your debt decreasing and your equity increasing over time, your home equity decreases and your debt increases, as time goes by. You continue to own your home, but if you choose to sell it, you have to pay back the loan. If the home falls into disrepair, or the owner is delinquent on paying taxes or insurance, the loan becomes due. When you (or both spouses in a married couple) pass away, the lender sells the house and recoups the debt with interest. Any value in the house exceeding the amount needing to be repaid on the loan is passed down to your heirs. Three main types of reverse mortgages. There are three distinct formats for HECMs insured by the FHA. From our research, we've determined all three can be fantastic tools for seniors to access financial benefits and eliminate mortgage payments. Term reverse mortgages are fixed over time. With a term reduced mortgage, participants receive a fixed monthly amount over a certain span of time (the loan "term"). For example, they could borrow $200,000 (plus whatever they need to cover loan fees) over a 10-year term at 4.5%. They would receive $1,666.66 a month for the next 120 months. When they sell their house or pass away, the proceeds from the home sale will pay the lender back the $200,000 plus $52,841 in interest (in addition to paying back the fees with interest). Tenure reverse mortgages give you unlimited monthly payments for life. The option for a tenure reverse mortgage usually involves paying a higher APR interest rate. The big advantage is you get fixed monthly payments for the rest of your life. No limits on loan income. If the total for the monthly installments eventually exceeds the total value of your property, you still receive them, and your loan principal total doesn't increase. When you pass away, the lender will be repaid either the amount you received (with interest) or the total proceeds from the home's sale (if payments exceeded its value). If payments equaled or exceeded your home's value, your heirs are not on the hook to make up the difference. A reverse mortgage line of credit lets you borrow only what you need. The third kind of reverse mortgage involves setting up a line of credit you can draw from. The full amount of the line of credit is secured by your home's equity. You are free to use as little or as much of it as you want, and you will be charged interest only on what you borrow. You can repay what you borrow from the credit line, and only the current outstanding balance will be repaid by the sale of your home when you move out or pass away. Modified versions are a mix of types. There are also two modified versions of reverse mortgages. Both the tenure and the term options can be modified to also include a line of credit to draw from in addition to the monthly payments. Some fees are involved. One of the cons of reverse mortgages is high fees. It's important to understand the fees involved with a reverse mortgage, as they're a little different than regular mortgages. Both a regular mortgage and a reverse mortgage involve the payment of a loan origination fee. Lenders are allowed to charge 2% on the first $200,000 in the home's value, and 1% on the value above $200,000, with an upper limit of $6,000 and a lower limit of $2,500. For a $300,000 home, the loan origination fee would be $5,000. FHA insurance comes at a price. One unique fee people with HECMs have to pay is for the insurance the FHA provides for the loan. 2% of the total value of the home is charged upfront as a kind of one-time premium for insuring the loan (with a $13,583 limit). So a reverse mortgage on a $300,000 home would cost $6,000 as a one-time premium. In addition, borrowers are also charged 0.5% of the outstanding reverse mortgage balance in annual FHA insurance premiums. The seniors whose reverse mortgages we analyzed all shared one thing in common. They all needed access to some extra funds after the age of 62. Lots of different reasons for choosing a HECM. Their reasons for needing a reverse mortgage were quite diverse. Some of the HECM loans we analyzed could be viewed as last-ditch efforts to ward off potential bankruptcy. Many more of them were for more strategic reasons, rather than for dealing with financial crises. Delay Social Security to increase monthly income later. Some of the reverse mortgage holders we surveyed said they were using the funds to avoid collecting Social Security payments. By not accessing Social Security immediately upon retirement, the unclaimed amount is rolled into future payments. Debt consolidation tool. Some of the reverse mortgage loans we analyzed were taken out to deal with out of control debt. These loans were used to pay off maxed-out credit cards, higher-interest loans, and medical bills or car payments. Cheaper and easier to manage. Rather than having to deal with multiple high-interest debts, their outstanding balances are brought together under a reverse mortgage. In many of these cases, a lump sum payment is received rather than monthly payments. Tap home equity if you've outlived your savings. Life expectancy in our society today is higher than the world has ever seen. Some people who manage to save for retirement live longer than their funds last. A reverse mortgage provides backup retirement funds to maintain their lifestyle. A dependable source for emergency expenses. If emergency expenses arise, like home repairs or medical bills, a reverse mortgage can be taken out to cover them. Help pay for expensive home care or residential care. Out-of-pocket bills for home care or nursing home care can be covered with the funds made available by a HECM. Help family members. When a person dies, the proceeds from the sale of their home are usually passed down to family members as part of their inherited estate. If an heir could benefit from receiving some of their inheritance before the homeowner passes away, a reverse mortgage can be taken out and the funds given to them. The family should know the interest and fees will shrink the equity the heirs will eventually inherit. After the subprime mortgage crisis, the rules were tightened up when it came to qualifying for HECMs. For older adults only. The minimum age for a person to get a HECM is 62. If there is a marriage partnership, the youngest partner can't be under 62. Own most or all of your house. HECMs are only available to those who either own their home outright or have only a little bit left to pay on their original mortgage. Live in the home you're reverse mortgaging. You need to occupy the property you're putting a reverse mortgage on as your permanent residence. Paid your debts to the feds. Anyone who is delinquent on federal government debts does not qualify for HECMs. Counseling is a requirement. If you'd like to access a reverse mortgage, the HECM requires you to talk to one of their approved counselors. These advisors will help you budget your finances around the loan, so you can make the most of it without squandering your money. With only a little over 48,000 reverse mortgages currently active, the vast majority of the 397,921 loans we analyzed came in the form of home equity loans. Home equity loans, aka "second mortgages," also let you borrow from the value of your home. Your home is essentially re-mortgaged, meaning you are withdrawing part of what you have paid into it and are willing to pay interest on that amount once again. You figured out the best way to pay down your mortgage before, so now you can apply the same strategies a second time. With a home equity loan, you receive what you're borrowing in one lump sum. Home Equity Lines of Credit are also available. Another option for borrowing off the value you own in your home is to apply for a Home Equity Line of Credit (HELOC). Rather than receiving the funds as a lump sum, a revolving line of credit is set up for you to draw from and repay at whatever pace you like (as long as minimum payments are maintained). Borrow and pay back like a credit card. A HELOC functions a lot like a credit card (in fact, sometimes there are credit and debit cards directly linked to a HELOC). You borrow whatever you need up to the total credit limit. A minimum monthly payment is required but the balance can be carried as long as you want. As long as there is an unpaid balance, a loan APR is charged on what is owed. You are only charged interest on the total HELOC credit amount if you borrow the entire available credit. Looser rules for second mortgages. Home equity loans and HELOCs are available to anyone, regardless of age. Unlike reverse mortgages, where you need to own all or most of your house, usually you're only required to own 20% of your home's total equity. Let's say a person takes an original mortgage on a $300,000 home. They've faithfully paid their monthly mortgage installments for years, and their payments on the original loan principal now total $150,000. The increase in your home's value belongs to you. The house itself has appreciated in value and is now appraised at $400,000. There is, therefore, $250,000 in home equity locked into the property and owned by the homeowner. Borrow up to the total equity you own. By either refinancing your existing mortgage or finding a lender offering home equity loans or HELOCs, you can borrow up to $250,000. For example, they could borrow $100,000 at a fixed interest rate as a second mortgage from a lender. They would receive a lump sum of $100,000. In addition to their regular mortgage payments, they would now be paying off the new $100,000 loan (with interest) in regular monthly installments. Bring it all together. They could refinance their mortgage with their existing mortgage financer. There would be a single combined principal balance of $250,000 to pay off (the $150,000 outstanding on the original mortgage, plus the $100,000 just borrowed). One payment and one interest rate. A single fixed payment would be made each month to pay off the blended mortgage. There would be a single interest rate charged for mortgage refinancing on the entire debt if it's provided by the same lender. Since second mortgage loans are secured by your house, the APR charged for home equity loans and lines of credit is lower than for unsecured credit like personal loans or credit cards. Our research analysis confirmed a normal APR for a home equity loan today is around 5%. For HELOCs, the typical APR we observed was around 4%. Average rates for first mortgages are 4.43%, so the APRs for second mortgages are more or less in line with the mortgage rates being offered when buying a home. Great for consolidating debt. Our analysis of 300,000+ second mortgages confirmed a large percentage of them are taken out to pay off other high-interest debts. Paying off high-interest credit card balances and personal loans with a lower-interest home equity loan saves money and makes staying on top of debt easier. Don't lose your house! The main drawback with home equity loans and lines of credit is the lender can seize your home if you default. You are putting your home down as security for the debt, and if you can't keep up with the monthly payments, you could see your house taken away from you. So make sure you stay on top of your monthlies to avoid having to say goodbye to your precious home. With over $6 trillion in home equity owned by seniors in America, the $9 billion currently being leveraged through HECMs is minuscule. There is so much potential for retirees to unlock the money they've parked in their home and use it to make their retirement dreams and goals come true. Now you've learned everything there is to know about reverse mortgages and second mortgages, you can choose the option that's suitable for your needs and situation. If you own your home, you should be able to do anything you want in retirement. Use a reverse or second mortgage strategically to finance your retirement, or cover emergency expenses like medical bills. Make sure you do your own due diligence and get at least three competing quotes when shopping around for a reverse or second mortgage. I've personally witnessed how competitive the market is, which works to your advantage. A highly competitive market means you have choices and leverage. Use the power you have to get a great rate. Just like what I always advise my readers, don't be afraid to play off the different offers against each other to shave off a point or two to get the best rate possible. Since 1998, through my company, CreditLoan, I've been teaching consumers the ins and outs of a wide range of financial topics while providing the tools and solutions they need to effectively manage their financial woes. So I do hope you learned a thing or two about reverse mortgages and second mortgages. Considering your financial situation, do you feel a reverse or second mortgage could be a good option for you right now? Are you excited about the prospect of tapping into your home equity in order to finance your retirement goals?